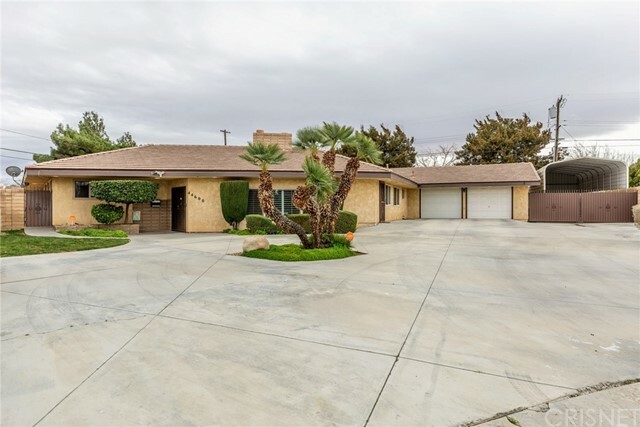 All Lancaster homes currently listed for sale in Lancaster as of 04/21/2019 are shown below. You can change the search criteria at any time by pressing the 'Change Search' button below. 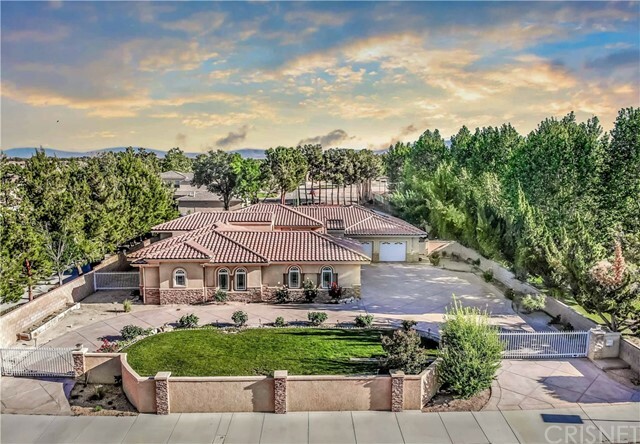 "Immaculate West-facing Tuscan inspired estate nestled behind the gates of the prestigious Los Hermanos tract. This stunning architecturally designed home has everything you need to create extraordinary memories! A truly magnificent residence! It boasts comfort and luxury from every room! As you enter this exquisite home through the massive iron doors, you are met with the artisan designed grand living area that is brightened by custom designed chandeliers by the world-famous Charles Marder. Gorg"
"Elegant single-story home waiting for you and your family to call home. 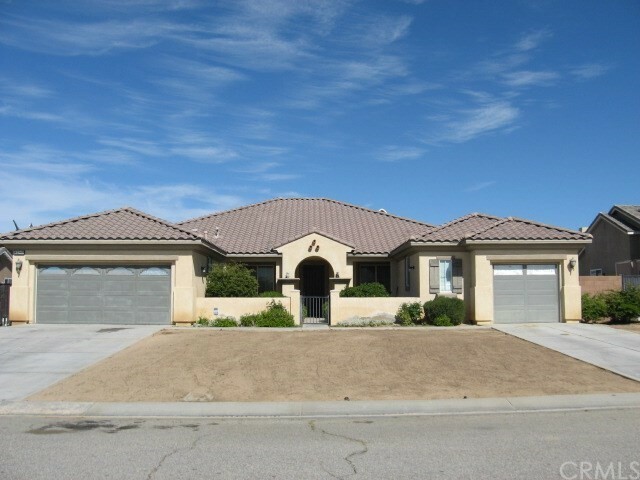 Subject property is located minutes away from Antelope Valley Mall, Cinemark, restaurants, and easy access to freeway. Property features an open floor plan with gorgeous tile flooring throughout premises. An exquisite kitchen with natural Quartz counter tops and glass black-splash as well as a Granite stone wet bar, perfect for entertainment. Its custom bathrooms feature beautiful marble stone. Best part of all, there is a G"
"***LIVE BEAUTIFULLY*** Luxurious & Modern Custom-Built Single Story Estate On Over An Acre Lot! This 5 bd, 5 bth, nearly 3,700 sq ft home shows like an HGTV model home w/ an open floor plan throughout and 10'-12' ceiling heights! The gourmet chefs kitchen features quartz counter-tops, s.s. appliances, a walk-in pantry, double oven, 36'' cook top with hood, a wine cooler, 2 color tone custom cabinetry, and an over sized 105'' x 52'' kitchen island. The master bedroom is reminiscent of a 5 star lu"
"Panoramic Views! Extraordinary Tri-Level Custom Home Featuring, 4 Bedrooms & 3 Bathrooms, 4,500 sqft. (1,500 sqft per level) on 2.54 Acres. This Beautiful and Private Estate Features Patio Decks on 3 Sides of the Home, 12'' Ceilings, Mil-guard Dual Pane Windows, 2 X 6 Lumber with 8 X 8 Post and Beam Wood Decking. The First Floor Features 3 Separate Rooms Plus 2 Attached Storage Rooms, Sheet Rock Walls, and Concrete Floors, Half Bath, 2 Car Garage w/ 10' Foot Mahogany Carriage Doors, & an Addition"
"***LIVE BEAUTIFULLY! *** Guest House Pool & Spa Oasis Upgraded Estate! Main House Is Nearly 3,900 Sq Ft w/ 5 Beds & 4 Full Baths. Guest House Is 1,000 Sq Ft And Offers A Living Area w/ Surround Sound & Crown Molding, Kitchenette w/ Granite Counters & Custom Cabinets, Stone Tiled Shower & Full Bathroom, A Spacious Bedroom, All w/ Its Own Tankless Water Heater & A/C Unit. NO HOA & NO Mello-Roos! 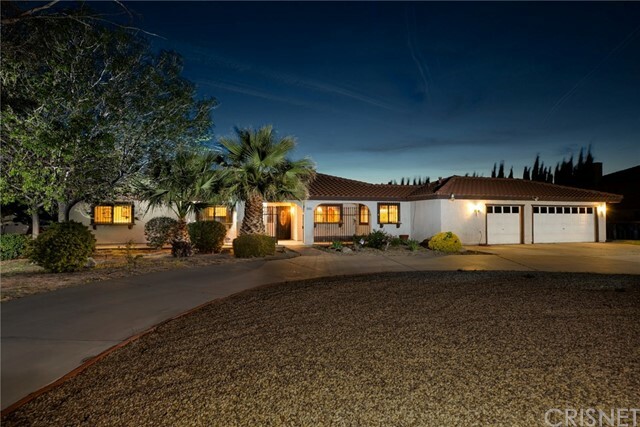 The Main House Features A Formal Living & Dining Room, Downstairs Bedroom w/ Full Bathroom, Family Room "
"West Lancaster Custom Home Built By Ron Arachi. Single Story Pool & Spa Home. Circular Driveway. Security Gate Entry. Located In A Desired Neighborhood. All Spacious Rooms. Living Room With Brick Fireplace. Beautiful Kitchen With Granite Counters, Backsplash, Recessed Lighting. Stainless Steel Appliances And Plenty Of Cabinets For Storage. Flooring Throughout Combines of Wood, Marble, Tile And Laminate Flooring. Family Room Has Floor To Ceiling Brick Fireplace And Is Open To The Kitchen. Wood Ba"
"Behind The Iron Gates Sits This Private Custom Built Estate Fully Fenced. This Exquisite Single Story Custom Home is Located Near the Exclusive Gated Westfield Estates. 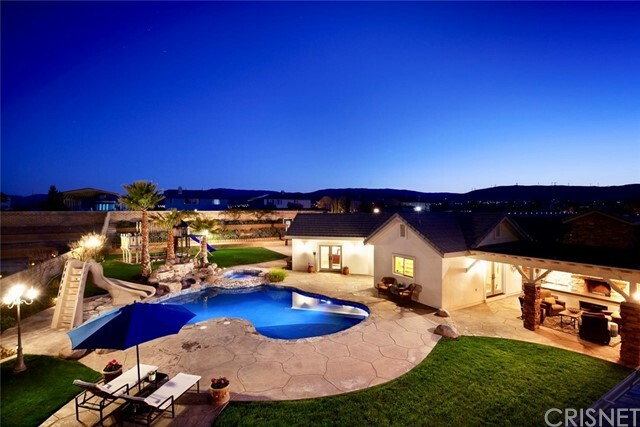 This Magnificent Estate Features 4 Bedrooms and 4 Bathrooms and 3,438 sqft of Living Space. This Open Floor Plan Boasts 2 Master Suites, Gourmet Chef's Kitchen with a Massive Center Island & Top Of The Line SS Appliances, Granite Counter Tops, and a Private Kitchen for Endless Amount Of Opportunities! Formal Living Room, and Form"
"ARE YOU READY TO PAMPER YOURSELF? This amazing Home in a country setting has it all! 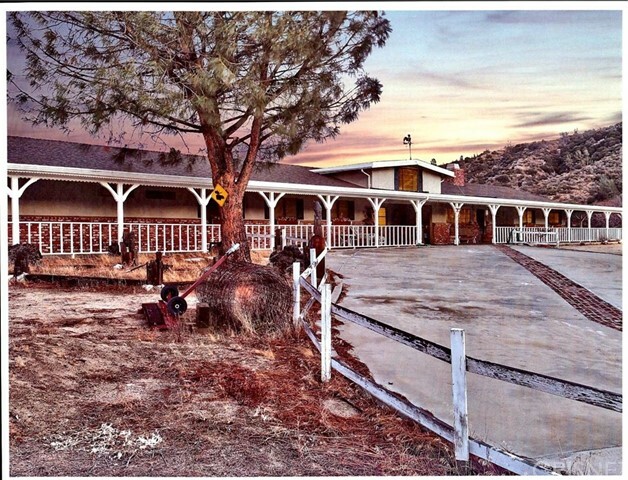 Located in the Picturesque West End of the Valley with wide open space to ride Hoses or to roam with all of your ATV/Off roading toys. Almost 3800 square foot home built and lived in by a Licensed Contractor. 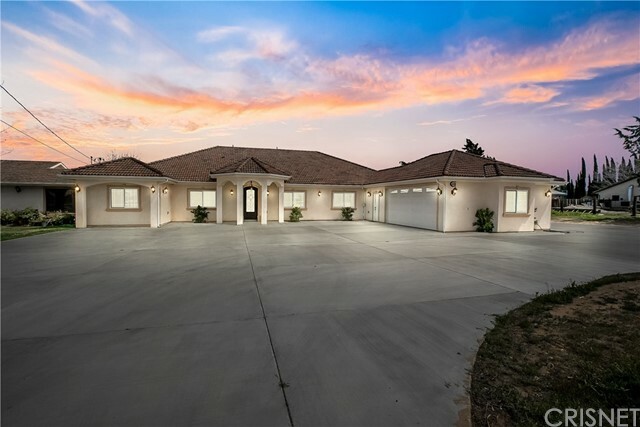 The Solar is owned; Mature Landscaping; Gourmet Kitchen with Quartz Counters, Trash Compactor, and Walk-In Pantry; 10 foot Ceilings; Arched Picture Windows with Custom Shutters throughout; Mud room; 2.33 Ac"
"***LIVE BEAUTIFULLY*** Upgraded Single Story Estate On A Near Half Acre Lot! NO HOA & NO Mello-Roos! NEW Exterior & Interior Paint. Open Floor Plan Throughout. Formal Living & Formal Dining Room. Spacious Kitchen w/ Granite Countertops, Double Oven, NEW Stainless Steel Appliances, Water Purification System, Wood Cabinet Pull-Outs w/ Soft Close, Large Center Island, And 3 LED Pendant Lights. Plantation Shutters & Upgraded Baseboards Throughout. 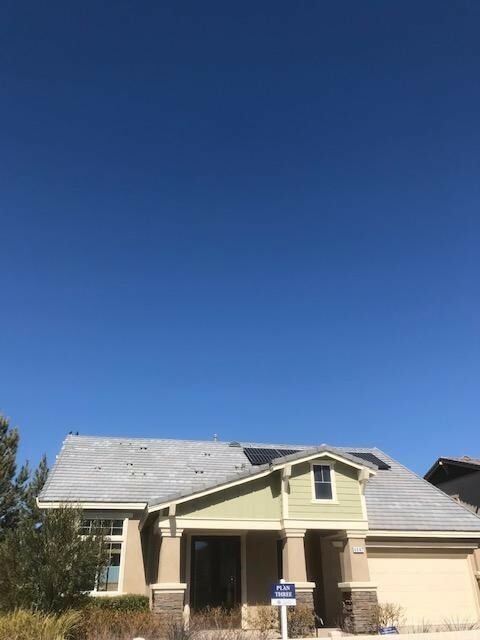 Custom Flooring Includes 20'' Porcelain Flooring wit"
"Stunning Former Pacific Larkspur Sought-After Plan 6 Model Home For Sale, By Pacific Communities Builder Antelope Valley's No. 1 New Home Builder. Final Opportunity! NO HOA! Located in the Desirable West side of Lancaster. 4,163 sq. ft. of living space, Formal Living Room, Dining Room, Den, Large Family Room, and Formal Living Room share a dual sided fireplace. 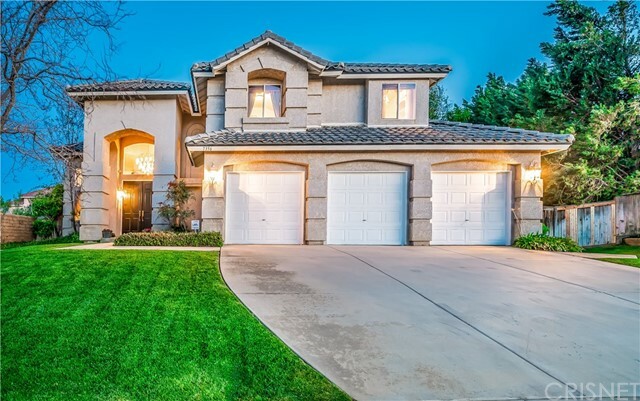 This Beautiful home features Recessed Lighting throughout, Vaulted Ceilings in Living Room, Gourmet Kitchen includes Granite Countertops"
"Beautiful large single story with open floor plan. 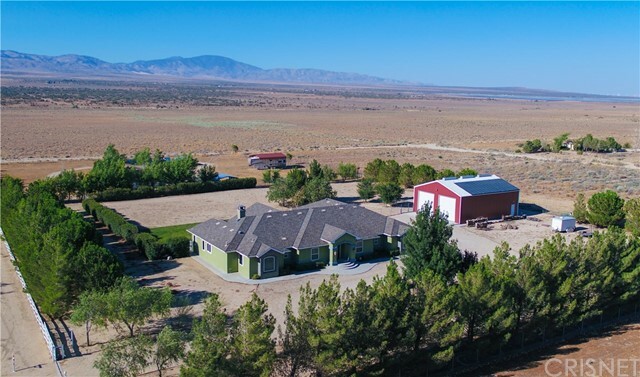 Beautiful views of desert and surrounding hills! All the room you could want here with 4 bedrooms, plus living room, family room, formal dining room with butlers pantry and bonus room for gym, hobbies etc. Kitchen features lots of counter space with island all done in granite. double ovens with microwave . Back yard has sprinklers installed, covered patio with utilities in for outdoor kitchen. Block wall fencing lot is almost 1/2 ac. RV parking." "I Know You've Been Waiting For A Custom Home Like This (At A Deeply Discounted Price) For A Very Long Time. One Look Is All It Takes To Fall In Love With This Desert Rose. Possibilities Are Endless. Finally A Home That Fits All Your Needs. Custom-built Single Story Estate W/ An Entertainers Resort Style Backyard That Showcases A Custom Pool, Spa, Beachfront Entry, Water-slide, Covered Patio, Built In Bbq, 2 Fire-pits (1 Gas 1 Wood) & Rv Access With Full Hook Ups! No HOA & No Mello-Roos. On A Nea"
"Relish in the breathtaking mountain forest and rolling valley views from all for sides of the covered veranda on this stunning country ranch home. Enjoy the four season climate mild winters and cool summer nights. This home features 3 finished bedroom and 2 finished bathrooms with jack and jill sinks. The living room has a large front window as well as an all brick fireplace. Solid oak cabinets and doors throughout the home. Beautiful imported tile flooring in the kitchen, dining room, and livin"
"Absolutely beautiful custom home in one of the most desirable areas of West Lancaster. Located on the private and secluded Still Meadow Lane on over a fully landscaped park like 1/2 acre lot, this is the home you have been waiting for. The circular drive welcomes you as you arrive and the meandering walkway leads to you the entryway. Once inside you will discover an open single story floor plan. Natural woodwork and flooring is used throughout this lovely home. 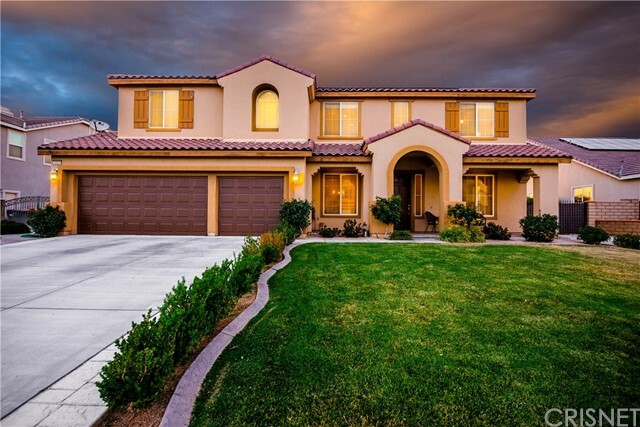 Interior features include a step d"
"Gorgeous Estate Located in West Lancaster Shows It's Pride of Ownership, Featuring 5 Bedrooms and 3 Bathrooms, High Ceilings, Spacious Guest Quarters, & Located on a Quiet Cul-de-Sac. UPGRADES GALORE!! This Gorgeous Home Features an Open Floor Plan, Formal Living Room and Formal Dining Room, Large Kitchen w/ New Stainless Steel, Appliances & Faucets, Large Walk-In Pantry, Upgraded Hickory Cabinets Throughout, & a Breakfast Nook with Bay Window. Mother-In-Law Suite Downstairs Features a 3/4 Bathr"
"Executive Quartz Hill home. Gorgeous two story home in exquisite Pulte Homes in West Lancaster. Spacious loft, solar panels on roof (Paid in-full), vaulted ceilings, large tile flooring, ceiling fans, recessed lighting, 1 Bedroom and 1 FULL Bath down stairs Gorgeous kitchen is equipped with stainless steel appliances (5 burner stove convection microwave ETC) corian countertops and center island. Family room with fireplace. Beautiful master bedroom and bathroom, master bathroom has dual sinks, je"
"***LIVE BEAUTIFULLY! *** Over $200,000 In Custom Upgrades, This Resort-Like Home Is An Entertainers Dream. The Front And Backyard Is Professionally Landscaped And Showcases A Large Pool w/ A Rock Waterfall And Beach Entrance, Over sized Jetted Spa, Palm Trees, A Bar Area w/ Granite Counters And A Beer Tap, Built In BBQ, Covered Patio & Plenty Of Seating All Around! The Inside Boasts An Upgraded Kitchen w/ Granite Counters, Stone Back splash, Stainless Steel Appliances & A Built In Fridge. Custom "
"Beautiful Move In Ready Single Story Estate w/ A 3 Car Garage On A HUGE Near Half Acre Lot On A Quiet Cul-de-sac! No HOA & NO Mello-Roos. 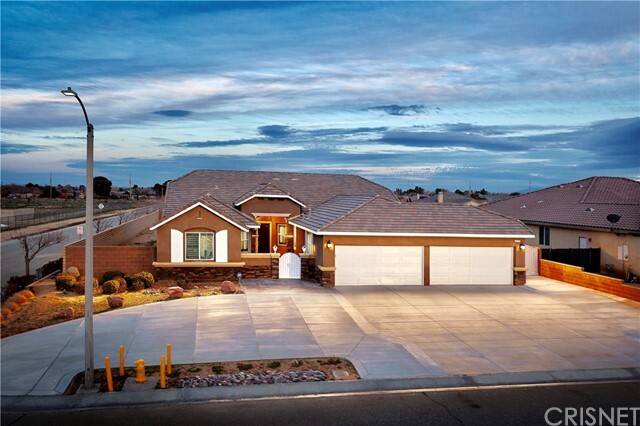 Desert Landscaped Front and Backyard, Block Walls, A Covered Patio, Tile Flooring, Two Zone Heat & A/C. The Spacious Kitchen Showcases Granite Counters, Stainless Steel Appliances, A Center Island w/ An Overlap for Bar Stools, Plenty Of Cabinetry, and a Double Oven. The Master Suite Is Large And Offers A Master Bath w/ Duel Sinks, Walk-in Closet and a Separate"
"Finally, the home you ve been waiting for! 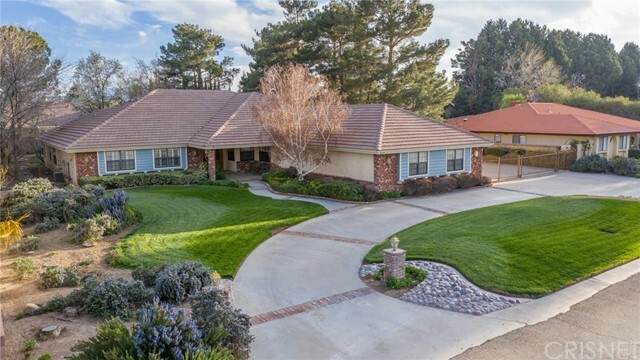 Tucked away on a secluded cul-de-sac, located on 2 corner lots totaling over 20,000 sq. ft. and with over 3,500 sq. ft. of living space, this custom single story pool home with RV access, and an oversized driveway could be yours! This spectacularly crafted home offers 4 bedrooms, 3 full baths and 2 half baths. Three of the bedrooms are oversized, complete with their own updated full bathrooms. 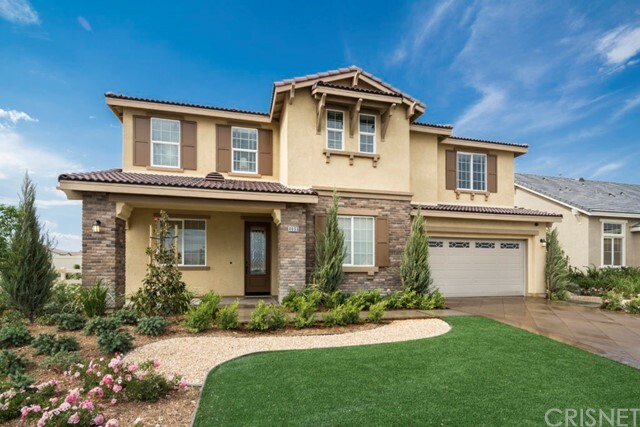 With 2 front entrances to the home, there is "
"Pacific Communities New Home Builder Model 3 for sale at Pacific Larkspur in the Desirable Westside of Lancaster! All Wall Art, TV's, and Furniture Included in the sale of the home. All Accessories and Floral Arrangements are not included in the sale of the home. Sought after Plan 3 with an open floorplan, vaulted ceilings with plenty of windows throughout for natural light. Master Suite on the first floor includes a retreat. Property includes a Den, Loft, Two Spacious upstairs Bedrooms. Please "
"Pacific Communities New Home Builder Model 3 For sale at Pacific Larkspur in the Desirable Westside of Lancaster! All Wall Art, TVs and Furniture Included in the sales of the home. All Accessories and Floral Arrangements are not included in the sale of the home. Sought after Plan 3 with an open floorplan includes a retreat. Property includes a Den, Loft, Two Spacious upstairs Bedrooms. Please visit our sales office for a personalized tour. Don't miss this great opportunity to own a Model home it"